The man "Captain" W.E. 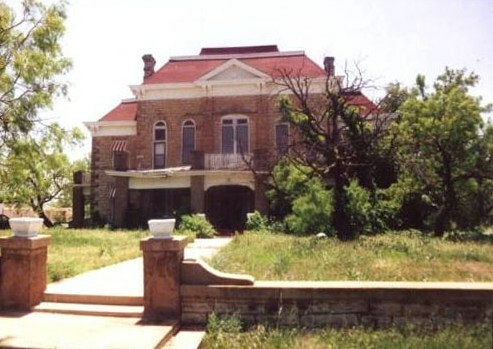 Rayner later went on to found one of the two settlements that merged into the present Lubbock, but in 1888 he was busy organizing a movement to separate Stonewall from Jones County. An election in December of 1888 did exactly that. 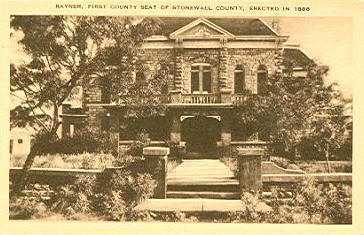 The town of Rayner was platted in 1889 just after it became the first county seat of Stonewall County. Not everyone was happy with the choice and in 1898 there were two elections to move the county seat of government to Aspermont. Old Glory never seemed to be a consideration. The vote of the second election overwhelmingly favored the more centrally located Aspermont, which has remained the county seat. The former rock courthouse from 1888 remains and a historical marker 7 and a half miles east of Aspermont marks the spot. 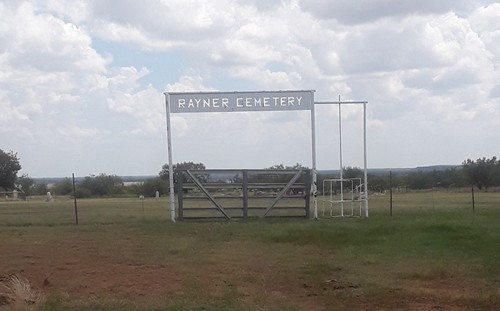 The former Rayner town cemetery lies south of US Highway 380. 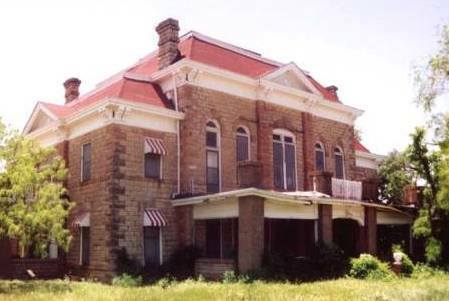 The 1891 former Stonewall County Courthouse is now a private residence.